We have a great range of Honda lawnmowers in stock. With a manufacturers warranty of up to 7 Years, you can rest assured your Honda will last for a very long time! 53cm/21" self propelled roller drive lawnmower fitted with Honda GXV160 OHV engine on a heavy duty cast aluminium deck. Comfortable brake and drive levers and shaft drive to rear roller. Superb machine for Contractors. 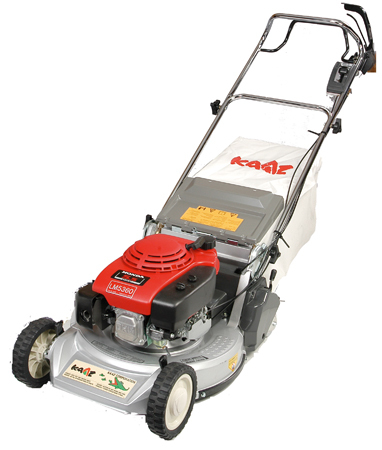 53cm/21" self propelled power drive lawnmower fitted with Honda GXV160 OHV engine on a heavy duty cast aluminium deck. Comfortable brake and drive levers and shaft drive to rear roller. Superb machine for Contractors. 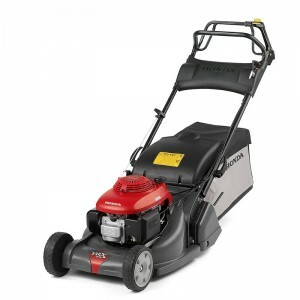 The Honda HRX537 VY lawn mower offers top features: 21" cut, SMART Drive variable speed drive and roto-stop blade clutch - this allows the operator to empty the box whilst leaving the engine running or driving the machine from A to B safely without the blade running. The Honda HRX 537 VY lawn mower is fitted with Honda's new variable mulching Versamow System which will either collect the grass clippings into the bag or finely shred and blow them down into the lawn...or a combination of both. These finely clipped mulched particles then fertilise the ground and help to stop it drying out. Honda customers deserve complete peace of mind. Honda HRX537VY lawn mowers are supported with the longest and most comprehensive warranties in the industry. 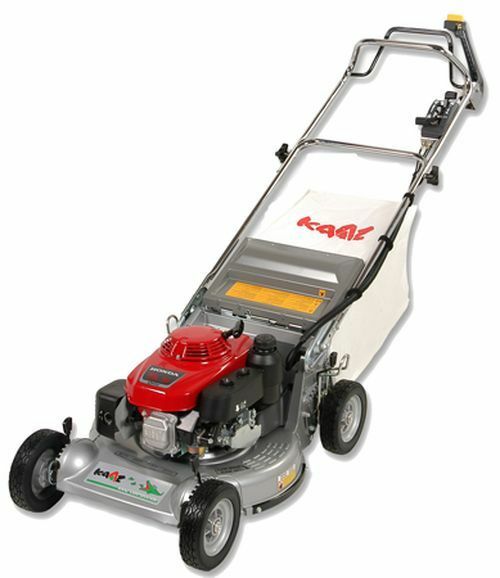 Our premium mowers (used in a domestic environment) come with a standard 7-year warranty, subject to annual servicing. With parts available next day at no extra cost (subject to an order placed by midday), the fully trained Honda dealer network are knowledgeable about your product and will minimise any inconvenience when servicing is required. 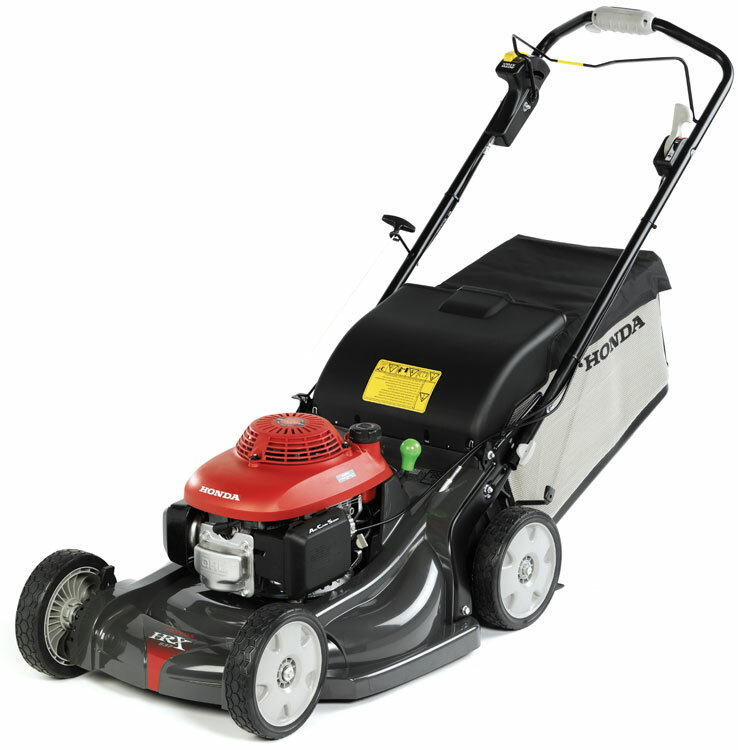 The Honda HRX476QX model features a tough and rust free polymer deck, with a single lever height adjustment for ease of use. Also, a rear roller drive gives a stripe on the lawn as well as the allowing the ability to cut over the edge of your lawn. 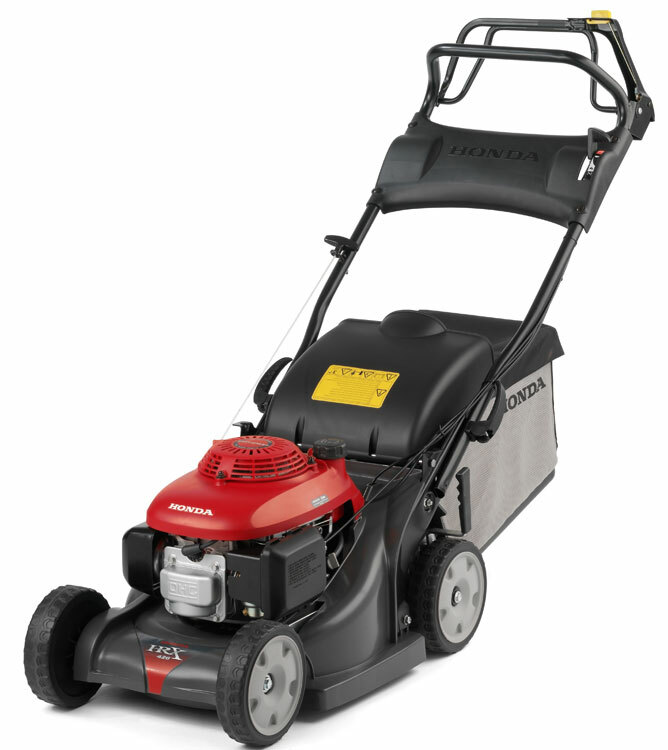 The all new Honda HRX426 SX lawn mower features a powerful and reliable easy start 5.5hp Honda 4-stroke engine, along with the peace of mind of Honda's unique Rota-stop® safety feature, enabling you to stop the blades when emptying the grass bag without the need to stop the engine, also enabling you to drive the machine from A to B without the blade running. The Honda HRX 426 SX model features a tough and rust free Polystrong® polymer deck with single lever central height adjustment for ease of use and all new ergonomic one-touch folding handles for easy storage. For the latest prices on our Honda Range please contact us.